Men's church suits are the best you could find when it comes to church clothes for men. 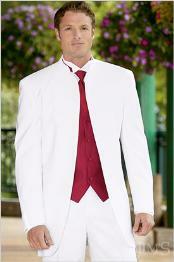 These suits give the wearer a distinct and well cared for appearance. Though many churches communities have welcomed and accepted casual styles, the ideal thing to wear for a congregation, especially for men are the traditional and elegant church suits. And much to your advantage, today the fashion industry have come out with more versatile and comprehensive collections that vary according to styles, designs, cuts, fabrics, colors and many more. You have surplus amount of options when it comes to church clothes and you can dare to experiment with your fashion sense and bring out the best of your personality. With the innovations of fashion industry and the introduction of various technologies, modern take on weaves of fabrics and a little touch up of colors, every man can now look warm and cordial with the right combinations and match of shirts, trousers and suits. You have several options when it comes to church suits to choose from coming in various shades and tones ranging from black, grey, blue, navy blue, white, cream, beige, brown and many more. And black, cream, brown, beige, white and navy blue are closely associated with formality and hence suffices to be the best options for such a formal event such as congregations. However, church goers have become far more open to variety of colors including olive green, pink, purple, blue and lavender suits that mixes pretty well with the sound, cheerful and optimistic side of actively participating members of congregations. However, it all comes down to the right fit and comfort from the wearer's perspective. Never compromise upon both the parameters. Always see to that the church clothes you pick fit your well and make you look like swell without fail. MensUSA.com has a wide range of collections when it comes to church clothes. SKU# ZF8 High Fashion 5 Button Solid Color Church Mens Dress Suits 5 Colors!